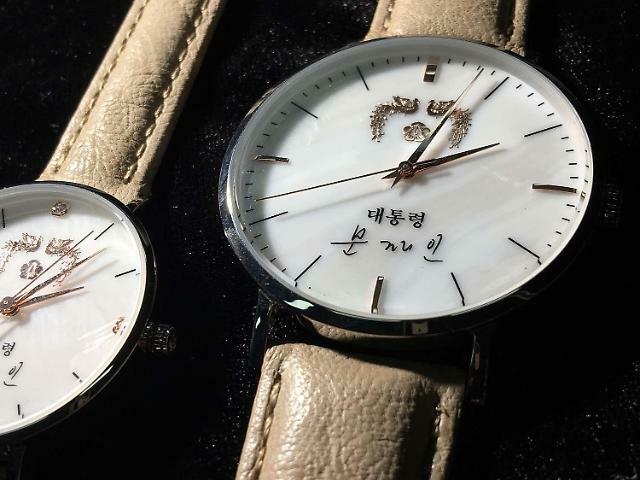 To enhance his image as a humble national leader, President Moon Jae-in has endorsed a new design in a presidential gift set of wrist watches featuring his autograph, an emblem of phoenixes and his election catchword "People First". 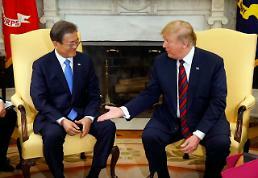 The tradition of handing out wristwatches as a presidential gift dates back to Roh Tae-woo, an ex-army general who served as president from 1988 to 1993. 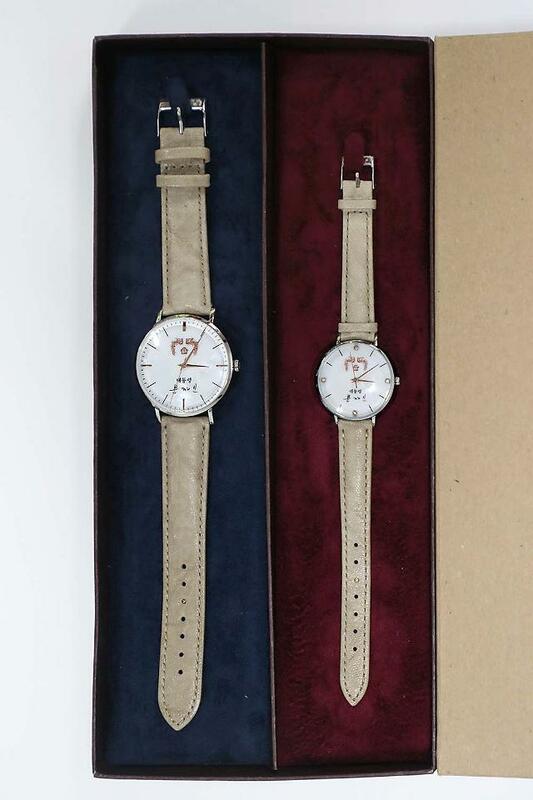 In 2014, jailed ex-president Park Geun-hye handed out a limited edition of watches engraved in gold with her autograph and a pair of phoenixes, the presidential emblem, to ruling party legislators as Lunar New Year gifts. But her watches sparked a political scandal as they were traded away for political influence. A former human rights lawyer, Moon has tried to get rid of the deep-rooted authoritarian practice and culture at the presidential office since he succeeded Park in May. 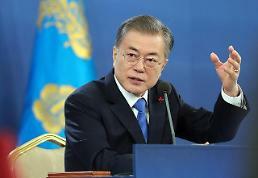 Unlike his predecessors who favored an authoritative design, Moon picked a different concept emphasizing his political philosophy -- a non-authoritarian and democratic rule putting the people first. 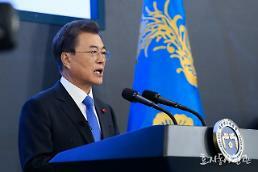 Moon's watch shows the "minimalist" concept to eliminate the authoritative design, reflects his political philosophy and seeks "modern simplicity and practicality", read a statement published by the president's office. His catchphrase "People First" was engraved on the back case. The rose gold instead of the yellow gold was applied to the emblem, the hands and the index of the clock. The soft lambskin band symbolizes flexibility and a non-authoritarian rule. 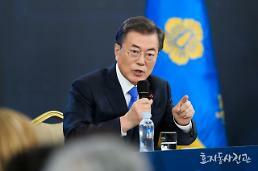 Moon has pledged the regular presence of a national leader mingling with citizens in theaters and concert halls, saying South Korean leaders had long been isolated and secluded in the presidential compound.